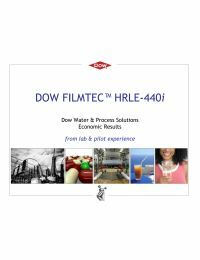 The Dow FILMTEC HRLE-440i High Rejection Low Energy RO Membrane features iLEC Interlocking Endcaps, and is engineered to minimize operating costs in light industrial applications. 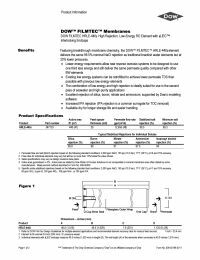 The fiberglass outer wrap provides consistent, sustainable performance and low energy efficiency. Breakthrough chemistry delivers the same 99.5% nominal NaCl rejection as traditional brackish water elements but at 33% lower pressures.